disclosure: I’m a Strawberry Shortcake Brand Ambassador and this is a sponsored post. Did you missed out on going to the San Diego Comic Con this year? 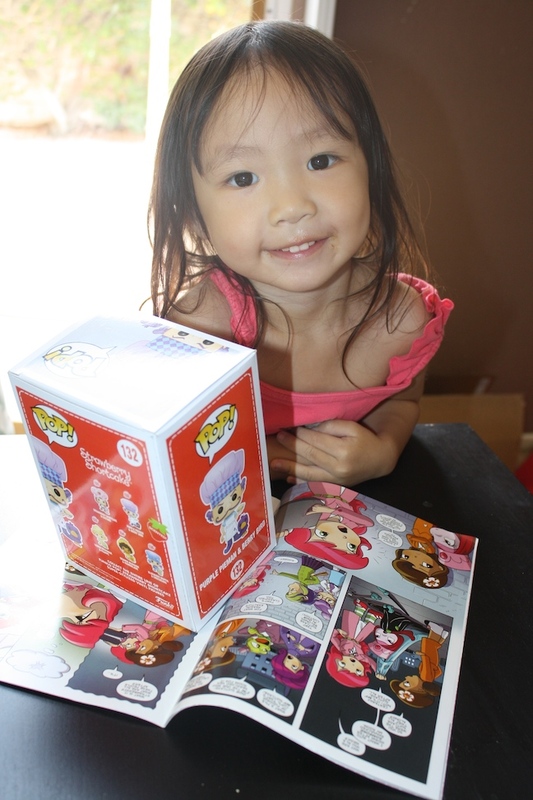 We actually did but luckily, with the help of Strawberry Shortcake and her friends, we got a lil’ piece of it when she sent us two brand-new Strawberry Shortcake items that made their debut at the San Diego Comic-Con. A Comic Con exclusive merchandise, limited-edition Funko Pop! figurine of everyone’s favorite villain, the Purple Pieman and his Berry Bird henchman (henchbird?). Funko Pop! has brought its quirky, big-eyed, vinyl style to characters from Game of Thrones, American Horror Story, and even The Golden Girls. Now these masters of pop-culture immortalization are lending their unique look to Strawberry Shortcake. In addition, you’ll be receiving a Comic-Con exclusive IDW Publishing comic book, containing two original Strawberry Shortcake stories: “The Stuff Dreams Are Made Of,” in which Strawberry has a fantastical dream about becoming a detective with Orange Blossom in order to search for a mysterious suitcase; and “Yes to the Dress,” in which Strawberry and Raspberry help the Sour Grapes twins pick out new dresses. The comic book also features cover art of Strawberry Shortcake and Purple Pieman. Follow us on Facebook to stay up to date with all our post. Check our other giveaways as well and Follow us on Instagram for all our adventures.